Amblyopia, commonly known as “lazy eye,” and other frequent causes of vision loss in children can usually be treated successfully if they are identified and treated at an early age. That's why the KidSight program visits childcare facilities and child-friendly events throughout the district to screen for vision problems free of charge. Using a Pediavision SPOT photo-screening device, our trained technicians take a picture that is quick and noninvasive of each child’s eyes, and the device produces an immediate “pass” or “refer” result. For children who receive a “refer” report, we strongly encourage the parents to take these children to eye doctors for professional examination and any necessary treatment. KidSight provides parents with timely, accurate, and free health information so they can preserve their children’s sight. The Lone Star Lions Eye Bank is a non-profit corporation dedicated to the preservation of sight through collecting, processing, and distributing human ocular tissue for corneal transplant surgery, prosthetic enhancement, and valuable medical research. Now, with the newest equipment available, they provide corneas that are 1/25th the thickness of previous available corneas. About 500 people a year regain their sight from corneas provided by the LSLEB. They also sponsor educational programs for the medical community and the general public. The Eye Bank has operated in Central Texas for forty years and currently serves over 2.1 million Texans in 37 counties as far as Galveston Island. The facility, in Manor, is open for any Lion to visit. The Texas Lions Camp is a summer camping facility dedicated to serving children from the State of Texas with physical disabilities, Down's Syndrome, and Type 1 diabetes. The camp is located on over 500 acres of hills and woodlands in the beautiful Texas Hill Country near Kerrville. Programs at TLC offer campers, without charge, a chance to try new activities and create long-lasting friendships while developing greater self-esteem and independence. In the spring of each year about two dozen members of our club and their friends join about 500 Lions from other clubs and their friends to prepare the camp for the summer. We do various tasks as needed such as painting, cleaning, landscaping and whatever the camp staff feels needs to be done. If you would like to volunteer to help, let us know. 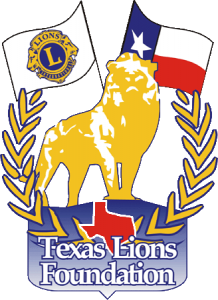 Texas Lions Camp is a non-profit organization funded by the Lions Clubs of Texas and other caring individuals. All children attend camp at no cost to them or their families. TLC is accredited by the American Camp Association (ACA) and is licensed by the Texas Department of State Health Services. ALSCC is a coalition of Lions Clubs in the immediate Austin area that provides eye glasses for needy school children in the Austin Independent School District. Students are screened periodically by the AISD Vision and Hearing Testing Service to identify potential vision problems. Those that are found to have a potential vision problem are provided with a referral to obtain further diagnostic and remediation services from a vision services professional. If the student is financially unable to follow through with the recommended services, the student is referred to ALSCC for assistance. Annually, ALSCC provides eye glasses to several hundred students. Without financial assistance, those students would very likely be deprived of an opportunity to learn. Money to fund the program comes primarliy from an annual SightFest Chili Cook-Off and from local Lions Club contributions. 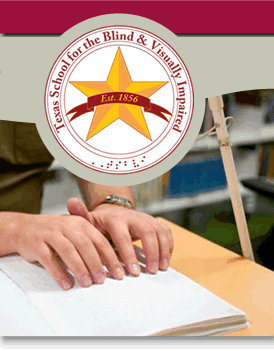 Our club supports the TSBVI in a variety of ways such as student scholarships, financial assistance and other means of encouragement to the students and staff. WSB is a comprehensive adult rehabilitation center serving people who are blind or visually impaired from all states and other countries. It was founded in 1947 to serve people who were blind and visually impaired, and who needed to learn independent living skills or job training skills that considered the special requirements of their individual visual impairments. The goal of the rehabilitation center then, and today, is to prepare the individual who is blind or visually impaired to function independently in our "sighted" society. Leader Dogs for the Blind was founded in 1939 by a group of Michigan Lions. Their goal was to train dogs to lead the blind and to provide facilities and means whereby trained dogs could be matched to a blind master. 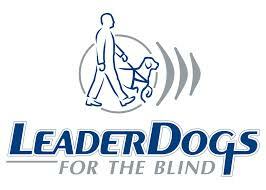 Over ten thousand blind people have become self-sufficient through the use of a Leader Dog. The dormitory stands as a tribute to the many Lions Clubs who have unselfishly given their time and money to make the Leader Dog School what it is today. Lions Clubs International Foundation is the grant-making arm of Lions Clubs International (LCI). Its mission is to support the efforts of Lions clubs worldwide in serving their local communities and the world community as they carry out essential humanitarian service projects. LCIF's grant programs cover a wide range of community needs. Standard grants, the type of grants that most Lions will be involved, can be obtained for amounts up to US$75,000. SightFirst grants support many sight-related projects primarily in developing countries. Major catastrophe and emergency grants are available shortly after major disasters. Core 4 grants support Lions' high impact community projects. International Assistance grants improve the quality of life for the less fortunate by improving health care, food self-sufficiency, environmental protection, literacy and similar projects. These grants have a major impact on communities worldwide. The Texas Lions Foundation provides humanitarian grants for local disasters. Lions can be honored with a gift of $500 to the Foundation.